Make this cheap, easy, and tasty Ranch dressing or dip and you'll never want to go back to store bought! Ranch dressing - it's just about everyone's favorite. At least since 1992 when it beat Italian and became the bestselling dressing (at least stateside). Luckily, I found this recipe on $5 Dinners right as we ran out of salad dressing. Try it, and you'll have some very tasty home made Ranch dressing in about 5 minutes! And the flavor's even better the next day. Just throw all the materials together and shake. You can control the consistency by changing the milk/buttermilk to mayo/Greek yogurt/sour cream ratio. If you like your dressing extra thick or if you're making a dip, just skip the milk. 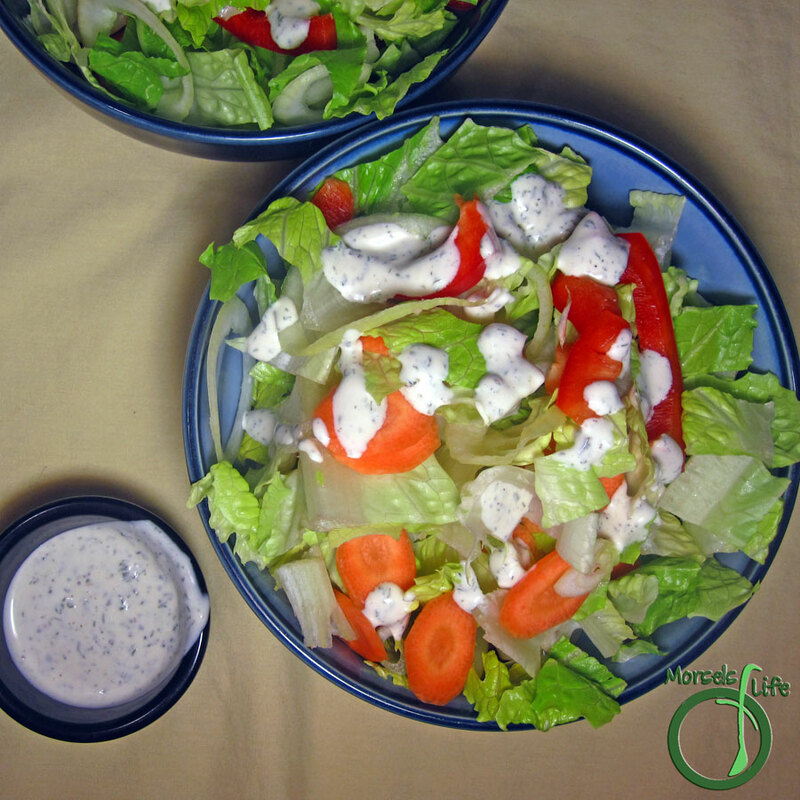 Give this homemade Ranch dressing/dip a try and see how it compares! Isn't it better than store bought?